A while back, I became interested in the idea of aerial photography. I’ve always loved the idea of taking pictures out of airplane windows and while riding in a helicopter. When you take photos from a thousand feet in the air, you get a sense of perspective that you can’t really get when taking pictures from the ground. Unfortunately, the opportunity to ride in helicopters and small planes doesn’t present it-self all that often. You can do kite photography, but that tends to limit the type of pictures that you can take. 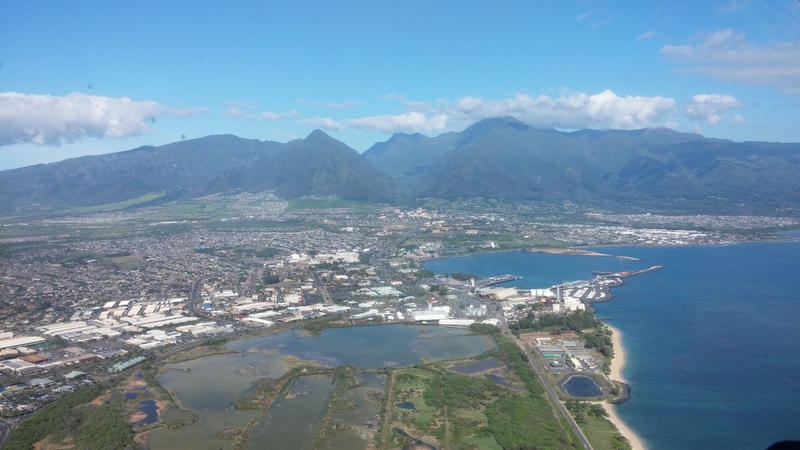 Fortunately, advances in quadrocopters, wireless technology and aerial photography have led to the creation of an entirely way to take pictures from the sky for a relatively affordable price. When most of us think of unmanned aerial vehicles, we think of the drone attacks that the U.S. military has used to hunt down terrorists and Amazon’s vaporware drone delivery service, Amazon Prime Air. While Amazon probably won’t be delivering anything to you via drone for several years, there are real practical uses for unmanned aerial vehicles (also called aerial drones) today. People are using drones around the world for real commercial purposes including real-estate photography, crop monitoring and wild-life evaluation. Most UAVs that people use, including the DJI Phantom 2 Vision+ that I purchased, are quadrocopters that are essentially helicopters with four sets of blades. They use built-in computers to automatically maintain their altitude and position, which make them very easy to pilot. The newest models even contain built in GPS and can return to their launch position automatically if they lose signal. They also connect to your smart-phone using Wi-Fi to capture photos and video in real-time using the UAV’s integrated camera. The model I purchased also has a built in stabilizer called a gimbal which enables the built-in camera to take steady videos even in windy conditions. The quadrocopter UAVs that are available are still primarily for early-adopters and have some quirks that need to be worked out. For example, for the UAV I have, you need separate batteries for the quadrocopter, the controller, the range extender and your smart-phone. The setup process is cumbersome and the battery life leaves a lot to be desired. Prices are also still out of reach from most-consumers. If you’re interested in getting a photography UAV, you should expect to spend anywhere from $1,000 to $2,500 depending on what you need. If you’re just looking for a toy quadrocopter, you might check out the $300.00 AR Drone by Parrot. Because the Federal Aviation Administration is tasked with managing air-traffic, it has the ability to regulate UAVs. Unfortunately, the FAA has been slow to issue rules on the commercial use of UAV’s which has stopped many business owners from creating businesses that rely on the use of UAVs. The FAA has even sent cease and desist letters to people that are using UAVs/drones for commercial purposes telling them to wait for regulations to be finalized before they start operating businesses that make use of UAVs. Some people have been waiting for more than five years for the FAA to come up with a final set of rules for piloting UAVs. Fortunately, you can fly a UAV without getting bothered by the FAA as long as you fly under 400 feet, stay away from airports and don’t try to make money off of your UAV. 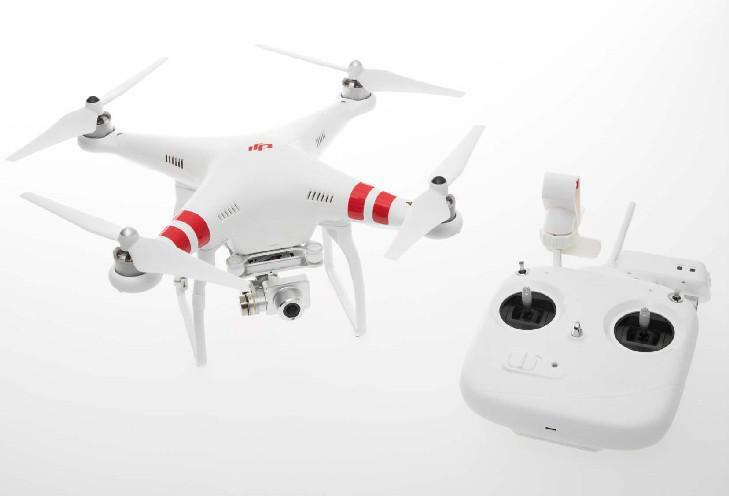 While I’ll be able to recreationally enjoy my DJI Phantom 2 Vision+, my dream of owning a drone photography business will have to wait (at least, officially). I don’t have really any grand visions for what I’m going to do with my UAV yet. I bought it mostly for the learning experience and to see what type of businesses could potentially be hatched with UAVs in the near future. I do plan on writing about it more after I’ve used it several times and hope to take it around the fine city of Sioux Falls and take some aerial shots and videos of the city. Update 6/19: Here’s another video I took where I brought the Phantom up to about 400 feet. If you have any suggestions of places in Sioux Falls that you’d like to see video of from 400 feet in the air, leave me a note in the comments below. Problem with the falls is that you'd get crowded by people that want to see the drone. I'd have to go when it's not busy. (and also not crash the drone into the water). How about the quarry at I-29 & Madison? Very steady and great images. Could you do the landfill? Great steady clear video – very interesting. Enter your email address below to receive a steady stream of tricks, tips and ideas to help you build a better and more profitable business. I am a Christian, a husband, a father, an entrepreneur, an author and a private equity investor. I am the founder of MarketBeat, the founder of Startup Sioux Falls and a co-founder of GoGo Photo Contest. I have a B.S. in Computer Science and a M.S. in Information Systems from Dakota State University. I also hold a M.A. in Christian Leadership from Sioux Falls Seminary. Don't forget to follow @MatthewDP on Twitter & connect with me on LinkedIn & AngelList. The second edition of Email Marketing Demystified is now available. 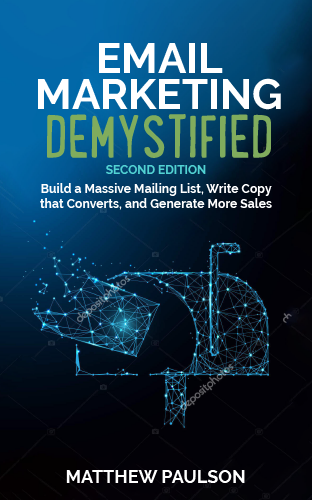 This book teaches you how to build a massive email list, write marketing copy that converts and generate more sales in your business. © Matthew Paulson 2003-2019. All Rights Reserved.